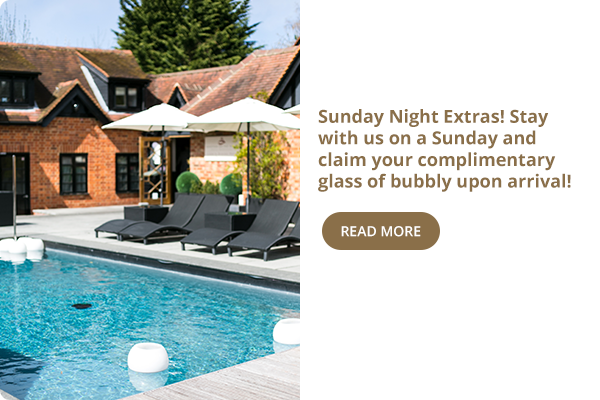 Karma Group and Sanctum Hotels bring opulence to the centre of England’s most luxurious country address with Karma Sanctum on the Green – one of the best, if not the best hotel in Cookham Dean. Sister hotel to Karma Sanctum Soho, Karma Sanctum on the Green offers guests an exclusive, luxurious stay in the English countryside. 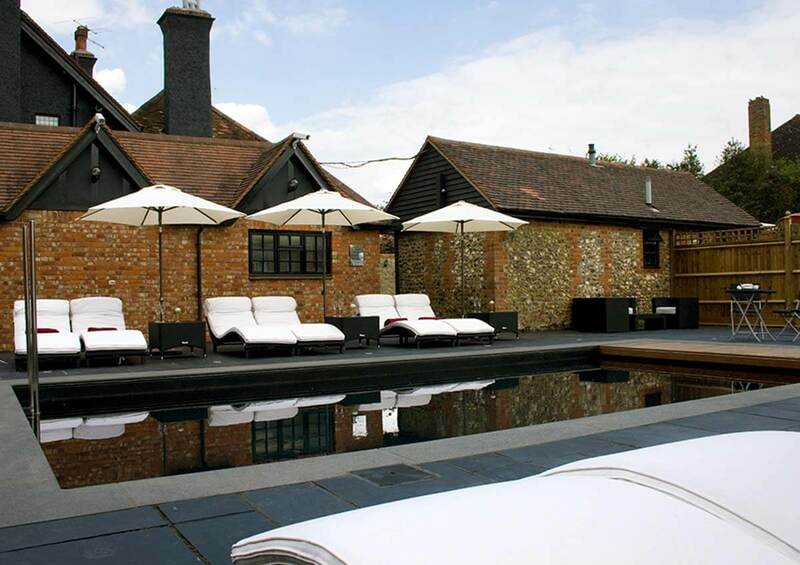 A beautiful property boasting nine guest rooms, traditional British bar and dining room and outdoor heated pool making Karma Sanctum on the Green perfect for weekend escapes, midweek romantic getaways, or extended country sojourns year round. 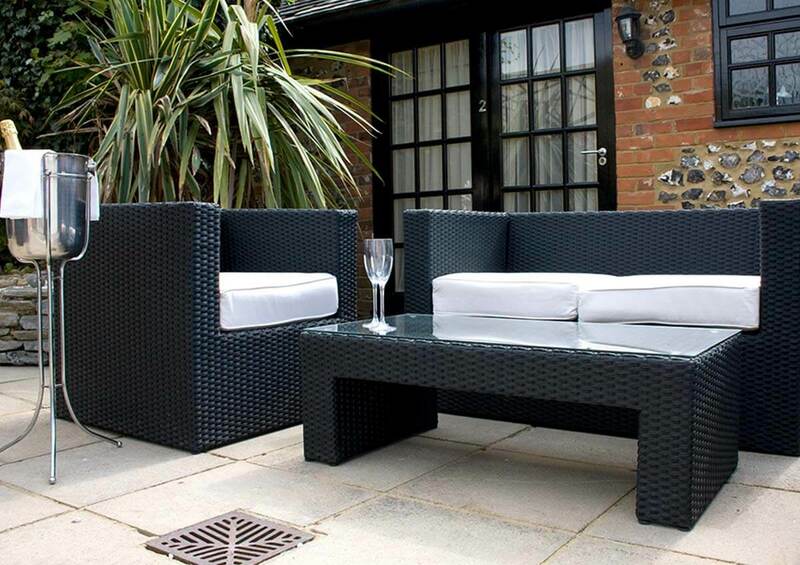 Book your stay at Karma Sanctum on the Green, Royal Berkshire directly with us. 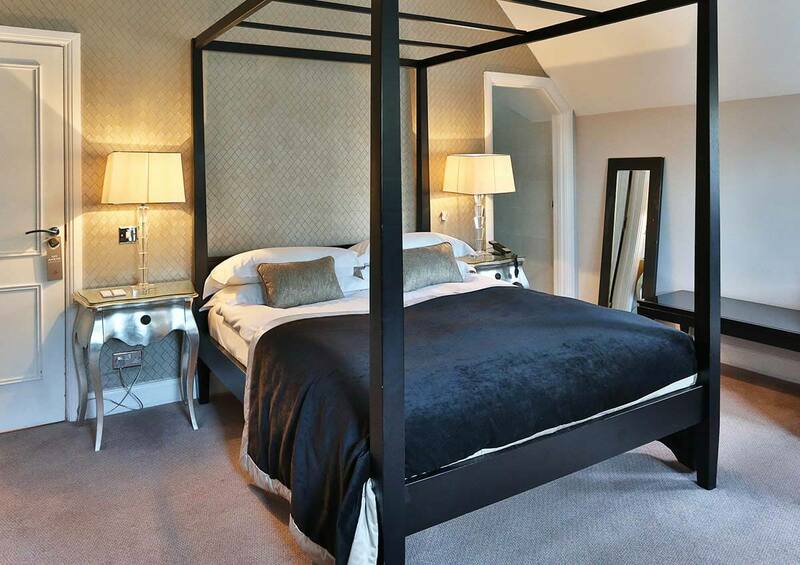 Looking for hotels in Cookham?  Karma Sanctum on the Green is ideally located in the picturesque village of Cookham Dean. One of the most easily accessible hotels near Windsor and Maidenhead, we’re a short 25-minute drive from Heathrow airport. Take the M4 to Windsor and Maidenhead. Take exit 9B from A404(M), then; Keep right to continue on M4, follow signs for Airport/The West. Heathrow/Staines. Hounslow. At junction 8/9, take the A404(M)/A308(M) exit to High Wycombe/Henley/Maidenhead. At the roundabout, take the 2nd exit onto A404(M) heading to High Wycombe/Henley/Maidenhead. At junction 9B, take the A4 exit to Reading/Maidenhead. Take Henley Rd, Pinkneys Dr, Winter Hill Rd, Choke Ln and Spring Ln to your destination, Karma Sanctum on the Green. Take the Great Western Railway to Maidenhead, then change at Maidenhead and take the GWR service to Cookham. Karma Sanctum on the Green is a 25-minute walk from the train station, or simply ask our friendly staff to organise a taxi for you. Karma Sanctum on the Green comes with the full suite of amenities you'd expect from a full service boutique luxury country escape, and a few more besides. 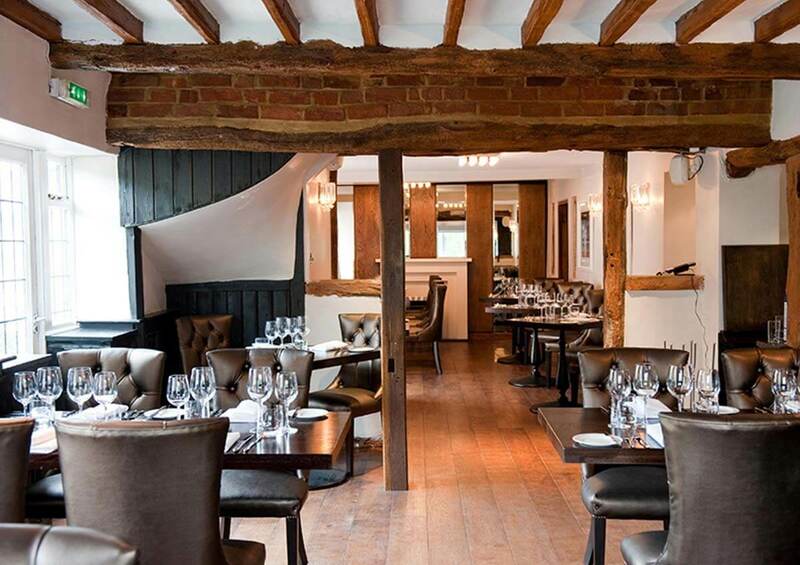 A standalone reason to visit the picturesque village of Cookham Dean, The Mole & Badger Restaurant Bar & Wine Emporium is helmed by acclaimed Leicestershire chef Johnny Prince, who has focused on locally sourced produce to create a wonderfully modern take on a traditional British menu. 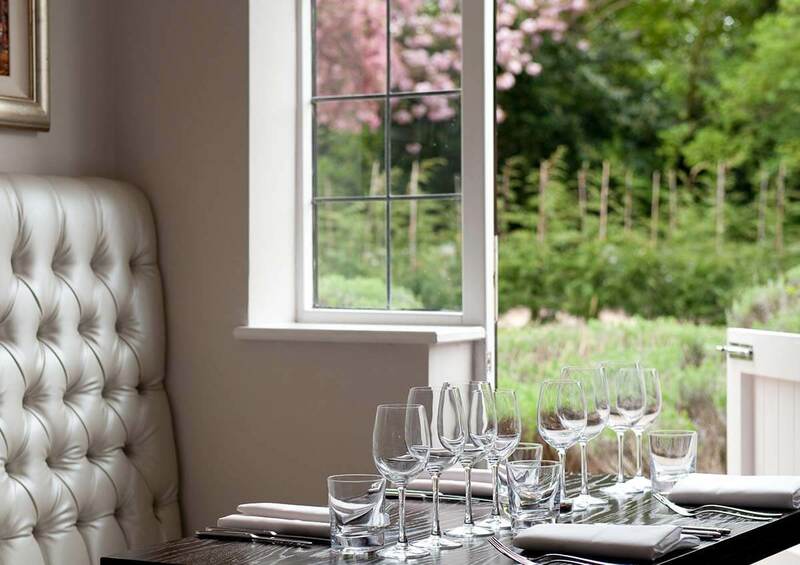 Dishes feature free-range, organic meats and line-caught fish, as well as superb interpretations of classics such as The Mole & Badger South-Coast Fish Pie or the Peterley Manor Farm Pig’s Cheek & Sausage Pie with Heritage Carrots, Creamed Potato & Red Wine Gravy. Save space for puddings such as Rhubarb Soufflé with Ginger Hazelnut Crumble & Rhubarb Sorbet or the devilishly good Dark Chocolate Ganache with Passion Fruit Sorbet, Baked White Chocolate & Honey Comb. 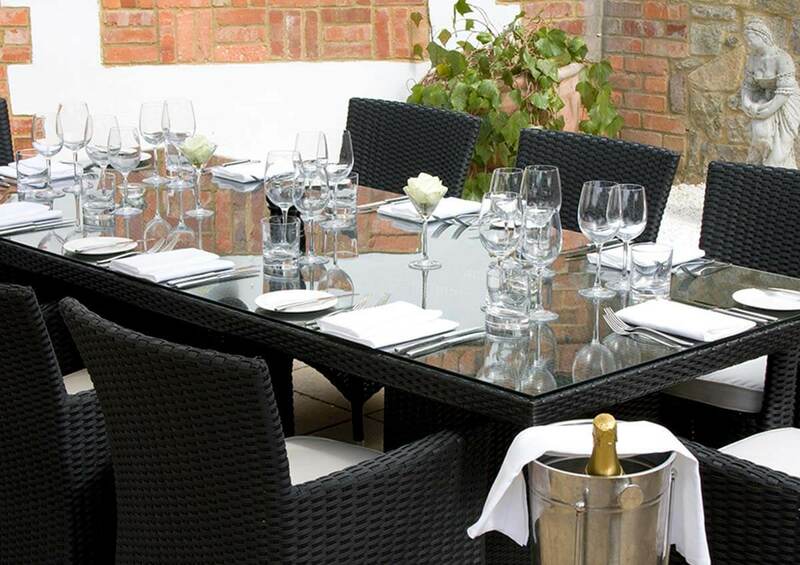 Whether dining on your own, or with 40 of your closest friends, our beautiful enclosed Courtyard is the perfect place to dine alfresco day or night. We offer a revolutionary video-on-demand streaming service to our guests! 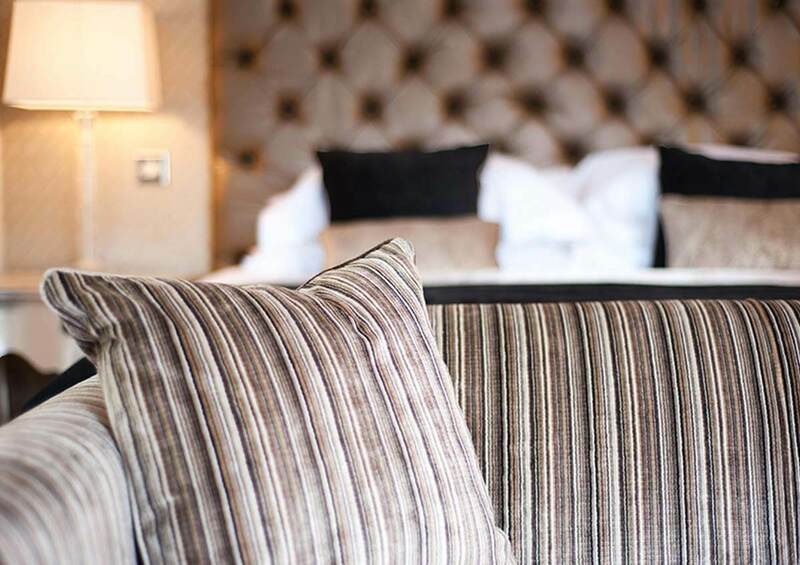 All accommodation features an extensive catalogue of the latest blockbuster movies and TV, providing a 5 star on demand service, in the comfort of your hotel room! Relax and unwind in our outdoor heated pool. 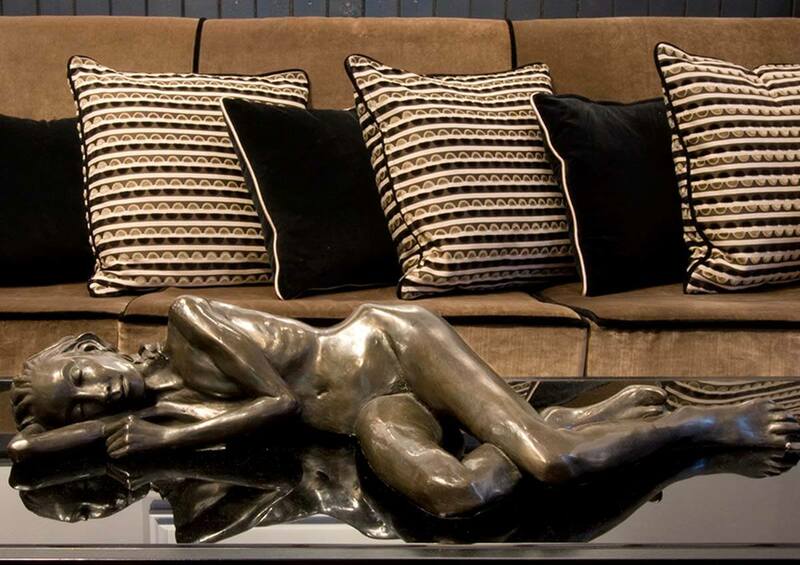 Afterwards, down a cocktail – or two – while laying about on a sun lounger like the celebrity you know you are. Our expansive lawn is a great place to relax and enjoy the British outdoors. If outdoor games are your thing, then you can choose from a number of activities including lawn chess, croquet and boules, a game of pool or even table tennis. With the Wind in the Willows woods just a bones throw from the hotel, it makes Karma Sanctum on the Green the ideal place for you and your pampered pooch! We welcome VIPs (Very Important Pets) with blankets, bowls and delicious doggy treats and our dog friendly bar and restaurant is the perfect place to retire after a day of exploring. Other areas of the hotel are pet-free. Our large selection of wine, including special vintages from our wine cellar allow the perfect pairing with any meal, while the bar offers a great selection of beers, real ales, spirits and hot drinks. So whether you desire a rare scotch, a vintage champagne, a great pint of beer or simply a great cup of English tea, we will be happy to oblige. 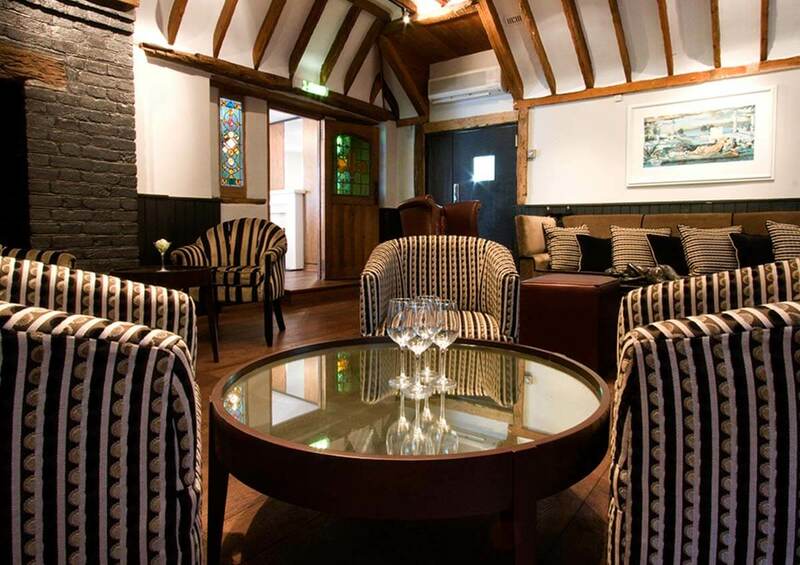 Whether it’s a wedding, anniversary, christening, wake, corporate event, or just a party with you and 100 of your closest friends, Karma Sanctum on the Green offers an intimate ambience, opulence and welcome in equal measure, making it one of the very best hotels near Windsor to host your next special event. Venue choices include the Restaurant and Bar, the 10-seat Cromwell Private Dining Room, the enclosed and Cromwell Courtyard, the luxurious Lawn Lounge, or marquees covering the pool area or the main lawn. Located approximately an hour from Central London, and less than 30 minutes from Heathrow Airport, the Sanctum on the Green Hotel is a perfect venue for corporate meetings, events and retreats. 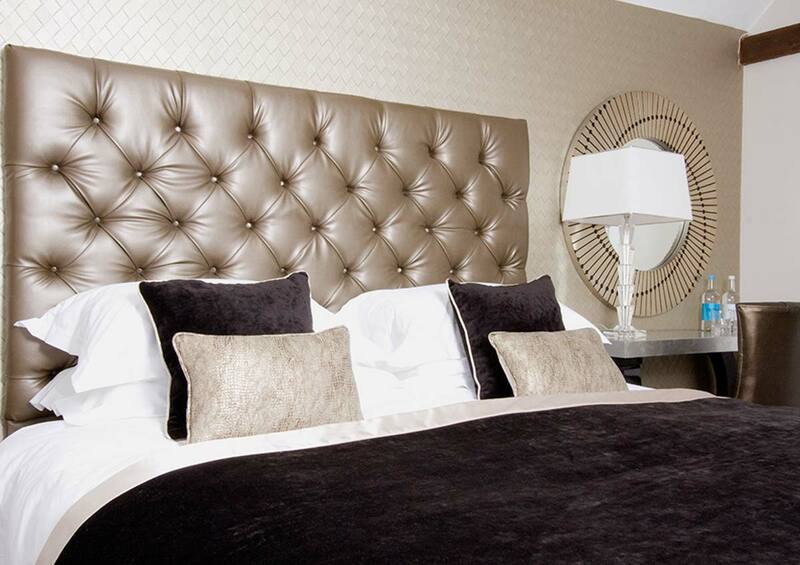 Karma Sanctum on the Green's nine luxurious rooms are a testament to understated opulence. Contemporary decor and soft furnishings dovetail flawlessly with the cosy architecture of the building's coach house past. 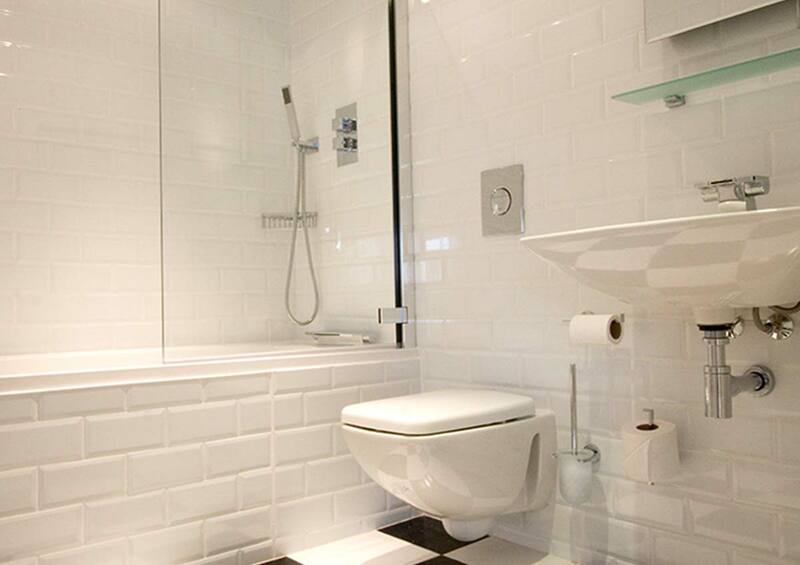 Our Royal Berkshire Suite features a huge bathtub and rain shower. Our deluxe king rooms all include this, with some featuring a four poster bed and in room bath, while our cozy standard rooms are large enough for you to unwind in comfort for a perfect night's sleep. All our luxurious rooms feature sumptuous linens, fluffy towels, robes, organic toiletries, flat screen TVs with on demand movies and more. 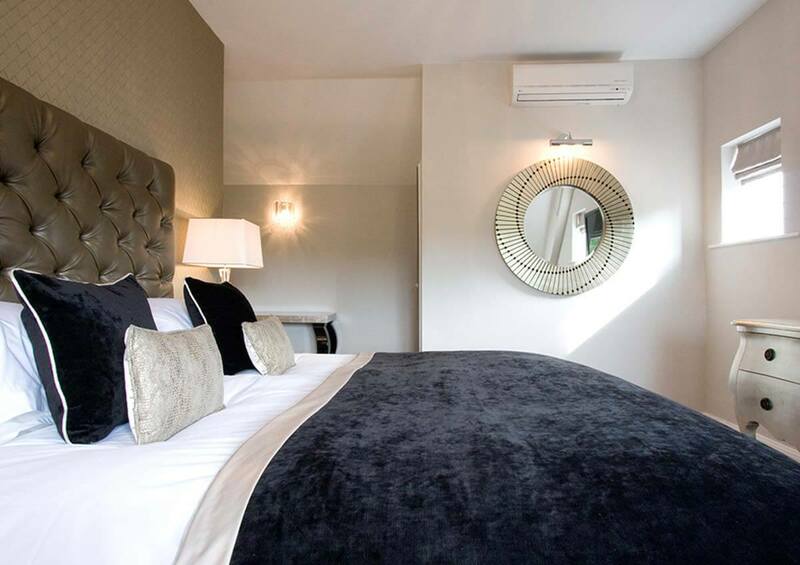 Our standard king rooms are perfectly sized for short stop over’s the crash pads are cosy in size but still offer king size beds with all the same amenities as the deluxe king. Standard room rate includes: breakfast each morning, king size beds, flat screen tv, bath robes and slippers, ensuite bathroom, organic toiletries. Located either in the pool house or main hotel there are a range of styles from four-poster beds, walk-in showers and free standing baths. Standard room rate includes: breakfast each morning, king size beds, flat screen tv, bath robes and slippers, ensuite bathroom, organic toiletries. our largest suite is located at the top of the pool house, overlooking the outside swimming pool and gardens. Accessed by its own private entrance and stairway, the suite’s bedroom features a large king sized bed, comfy sofa, and desk. Down the hallway the bathroom features a luxurious deep 6ft square bath big enough for two and refreshing rain shower. 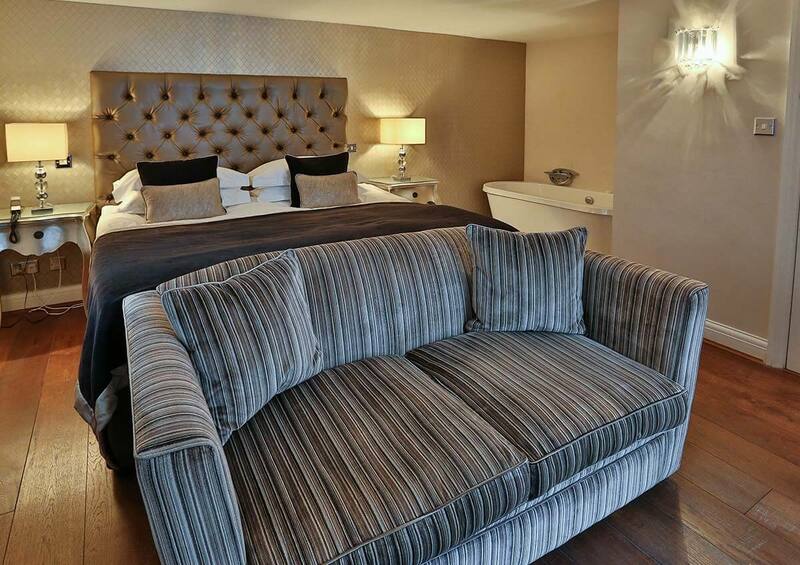 This suite is a favourite for couples seeking their own private oasis. 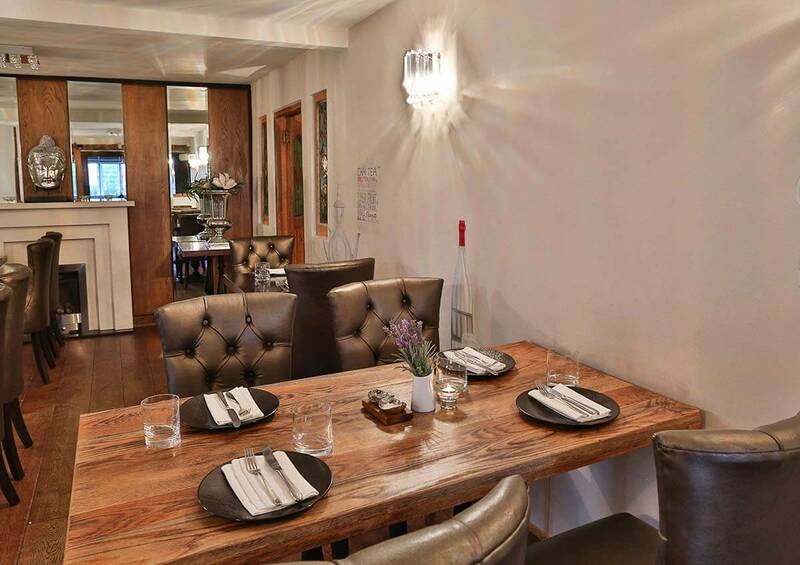 Karma Sanctum on the Green boasts British cuisine with a modern twist, sure to satisfy any palate. Locally sourced fresh ingredients are used to make seasonal Countryside favourites, international flavours, warming treats and hearty breakfasts. Sanctum on the Green Hotel is a beautiful venue for the most important day of your life. Our highly experienced team will work with you to make your wedding day perfect. Easter Treat at Mole & Badger! Kick start your Easter weekend this Friday with our bottomless prosecco deal for only £25. For a more family affair we will be serving a proper roast lunch with all the trimmings on both Sunday and Monday. 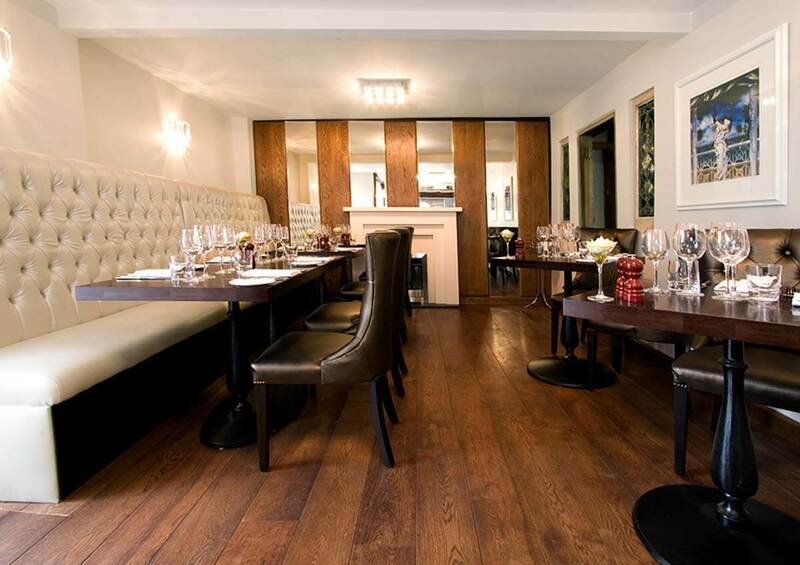 The superb menu includes cube rib of beef or a duo of lamb (rack of lamb and lamb shoulder croquette). We haven’t forgotten the little ones as mini roasts are available for only £10. Everyone can join in as we are also pet friendly!